Words are full of possibilities. They can take you places, show you sights and make you feel sensations completely new. Words are a journey. Each step is a chance to expand your horizons and come to a greater understanding of where you are, who you are and what your role is. Words bring excitement, joy and pain. They are the sword by which the world is forged, the bond by which lovers unite. Words are beauty, words are ugly and words are expression. Poetry is the means by which I reach out to the world and how the world inhabits me. Poetry is the result. From An Upstairs Room is my interpretation of the world around us. It is intended to be the first of a series of four chapbooks, each full of explorations in form, rhythm, content and tone. In 2003 I boarded a plane, leaving behind the comforts of home and hearth, all because I needed to understand more of the world around me. In seeing the world i have learnt just as much about myself as I have the places I’ve visited. Each step I’ve taken poetry has been beside me. A companion since youth, it continues to grow and change with me, just as restless, just as hungry. 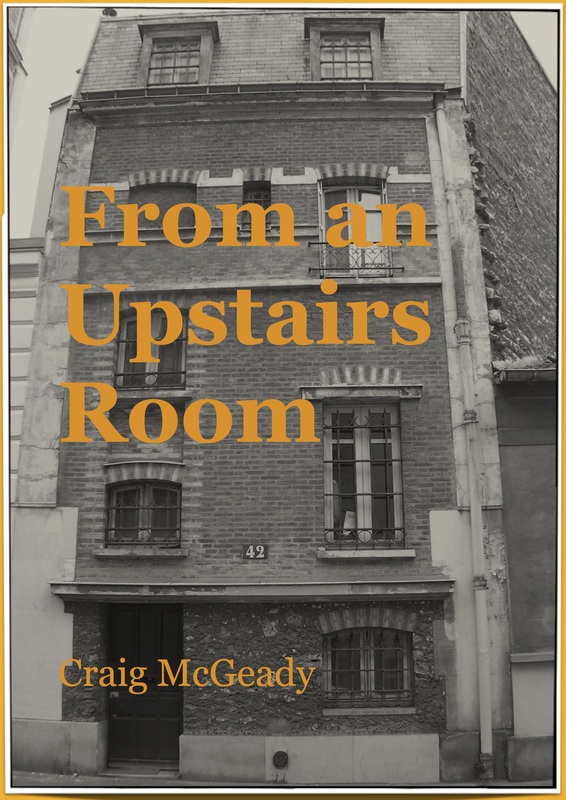 From An Upstairs Room can be downloaded from HERE. Poetry finds its form and more often than not forges its own path, despite the author’s intention of going in another direction. This collection more tightly hugs the line between structure and free form. Sometimes a per-determined structure can help the poem find cohesion but poems are ever restless and seek to push against any framework placed upon them. Content wise the poet’s origins are reflected a lot more readily. Steeped in the earth, the rich soil covering the hills where he once played as a child. The same earth that squeezed up between his toes and somehow found its way onto the carpet in the living room much to his mother’s annoyance. Born on the West Coast of the South Island of New Zealand the poet counts himself extremely lucky to have such an amazing source of inspiration from which to draw from. We Have Taught the Trees to Rust can be downloaded from HERE.